What is Probation Before Judgment in Maryland? Probation before judgment, also known as “P.B.J.” in Maryland, is a disposition or outcome a person may receive in a criminal or traffic case. Probation before judgment is determined by the judge. Although your lawyer and the state may propose or suggest a PBJ, the final decision lies with the judge. Maryland Law for Probation Before Judgment? What does it mean when a court “stays” the entering of judgment? This means the judge has not acted on or entered the finding of guilty and thus the defendant has not been found guilty. PBJ means a person has not been convicted, even though a judge or jury may find a defendant guilty. The court will strike the “guilty” finding and enter a “probation before judgment.” In other terms, the courts stays the finding of guilt and enters a probation before judgment. Can You Always Get a Probation Before Judgment? Probation before judgment is available in most criminal and traffic cases in Maryland. However, some cases and charges are not eligible for a PBJ. the defendant has previously been placed on probation under this section for the commission of a moving violation while the defendant held a provisional license. Is Probation Before Judgment a Conviction in Maryland? No, probation before judgment is not a conviction in Maryland. By the court’s entry of a probation before judgment, you have not been convicted. Is PBJ a Guilty Plea? PBJ, or probation before judgment, is not a plea but a disposition/outcome in a criminal case. For a defendant to receive a PBJ as a disposition, one must make a plea of guilty. A not guilty agreed statement of facts is tantamount to a guilty plea, the defendant is pleading not guilty but accepting the facts as true that will read into the record by the State’s Attorney. That means the judge will hear the facts of the case, usually read from the Statement of Charges, and the Judge will more likely than not find the defendant guilty. The judge then has the option to strike the guilty finding and enter a probation before judgment. The other plea is a guilty plea, which is used in the District and Circuit Courts in Maryland. Once a defendant makes a guilty plea or pleads “not guilty agreed statement of facts,” then the Judge will make the decision to offer a probation before judgment (PBJ). Can You Expunge a DUI PBJ in Maryland? No, you cannot expunge a DUI PBJ in Maryland. Section 21-902 of the Transportation Article is the section of the code that contains the DUI and DWI crimes in Maryland. Therefore, a DUI PBJ in Maryland cannot be expunged. How Long Do You Stay on Probation Before Judgment? Probation before judgment is a disposition and is entered by the judge at the time of sentencing. If the judge orders a period of probation after the entry of the PBJ, then that is the time one must stay on probation after a PBJ is entered. The maximum period of probation varies depending on the District of Circuit Court. A District Court judge can only place a defendant on probation for up to 3 years. Whereas, a Circuit Court judge may place a defendant on probation for up to 5 years. Is Probation Before Judgment Bad? If a judge grants a defendant probation before judgment, the defendant must waive their right to appeal. By waiving your right to appeal, then the case can not be appealed to a higher court. You should consult with your lawyer before accepting a PBJ. If the defendant is not satisfied with the PBJ, then they would not be able to appeal their case if they accept the PBJ. What Does PBJ Unsupervised Mean? “PBJ unsupervised” means that an individual is granted or given a probation before judgment (PBJ) and unsupervised means that the defendant is unsupervised, or does not have to physically report in person to a probation office, during the period of probation. Unsupervised probation means the defendant does not have to report to a parle and probation agent, but is still on probation during the proscribed period of time as ordered by the judge. Is a PBJ a Conviction in Maryland? No, a PBJ is not a conviction in Maryland. If a defendant receives a PBJ then the guilty finding has been stricken and the defendant has not been found guilty. Therefore, a PBJ is not a conviction in Maryland. Can I go to Jail if the Judge Grants Probation Before Judgement? Yes, a Judge could still require you to complete some period of incarceration, a PBJ does not guarantee no jail time. Who Can Get a PBJ in Maryland? Anyone can received a PBJ in Maryland including a probation before judgment for a driving while under the influence (DUI) or driving while impaired (DWI). There are situations when a person cannot receive a PBJ in Maryland. A PBJ for a DUI if you have been convicted or received a PBJ for a DUI in the past 10 years. Any moving violations if the driver holds a provisional license and the driver has been previously been placed on probation for a moving violation. How Does a PBJ Work in Maryland? In addition to a period of probation, the Court may also order the defendant to pay fines and costs to the Court. The Court may also direct the person who receives a PBJ to complete community service or pay restitution to the victim in the case. If you receive a PBJ from a District Court Judge, probation can last for a maximum of 3 years. A probation before judgment from a Circuit Court Judge can last up to 5 years. If you want to read the full text of the PBJ rules, check out Maryland Courts and Judicial Proceedings Section 6-220. What Will I Have to Do During Probation? So what are the benefits of a probation before judgment in Maryland? In traffic cases, the benefit of a probation before judgment is the Motor Vehicle Administration will not assess points to the driver’s driving record. This can be key in ensuring the driver’s insurance rates do not increase as the PBJ record is not public record and not accessible by the insurance companies. One of the other benefits of a Maryland probation before judgment is a person is able to expunge the charge from their record. However, an expungement for a PBJ cannot be filed in Maryland if the defendant was charged with drunk driving/DUI/DWI. In addition, a person is not eligible for expungement of a PBJ if within 3 years of the entry of probation, the individual has been convicted of a crime other than minor traffic violation or a crime where the the act is no longer a crime in Maryland. To receive a probation before judgment, you must waive your right to appeal. The Court will ask the defendant on the record in the Courtroom if they wish to waive their right to appeal and accept the PBJ. IN WHAT TYPES OF CASES WOULD I BE REQUIRED TO PARTICIPATE IN DRUG OR ALCOHOL TREATMENT AND EDUCATION PROGRAMS? Homicide by motor vehicle or vessel while impaired by controlled dangerous substance. 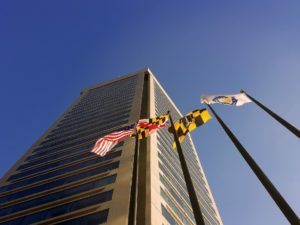 Violating Probation Before Judgment in Maryland? What happens if you violate a probation before judgment in Maryland? Violating a PBJ could result in the judge you appeared before and granted the PBJ to violate your probation. The judge may ignore the violation, issue a summons for a hearing or issue a bench warrant for your arrest. If you are found in violation of probation, then the judge may sentence you to the maximum penalty for the offense. Can You Expunge a Probation Before Judgment in Maryland? Yes, you can expunge a PBJ or probation before judgment in Maryland, but there are some conditions. If a probation before judgment was entered, and the offense is no longer a crime, then you may file for expungement immediately. If you received a probation before judgment, and the offense is still a crime, you must wait 3 years from the end of the probation period or the date in which the PBJ was entered in the court. Therefore, if you received a PBJ and were placed on 1 year of probation, then you could file 4 years from the date the probation before judgment was entered. However, if the court did not order probation, then the expungement petition may be filed 3 years after the date of disposition. A general waiver and release is not required when filing an expungement of probation before judgment since the statute of limitations would have run by that date. In Maryland, the general statute of limitations for civil claims is 3 years. Drivers that are charged with a speeding ticket in Maryland, and elect a waiver hearing or trial, have the ability to receive a PBJ. The judge must grant the probation before judgment for a speeding ticket. If a judge grants the PBJ for a speed violation, then the MVA will not assess points to the driver’s record. Instead, the speeding offense will appear on the driver’s PBJ record, which is not accessible to the general public or insurance companies. Charged with a DUI/DWI, traffic ticket or a criminal charge in Maryland can be scary. Worrying about the possible outcomes, including a probation before judgment, can cause a lot of sleepless nights. A PBJ for a first time DUI or DWI can make a lot of the consequences a lot easier to deal with. An experienced Maryland DUI/DWI lawyer can be helpful in getting your a PBJ for a first time DUI or DWI charge in Maryland. If you are facing criminal or traffic charges, contact attorney Randolph Rice today ((410) 694-7291) to discuss your case and if you’re charges are eligible for a PBJ.